the bike has a high speed pull back motor, a strong chassis with ultra high wheel arches, huge deep tread tires and a heavy duty bull bar. 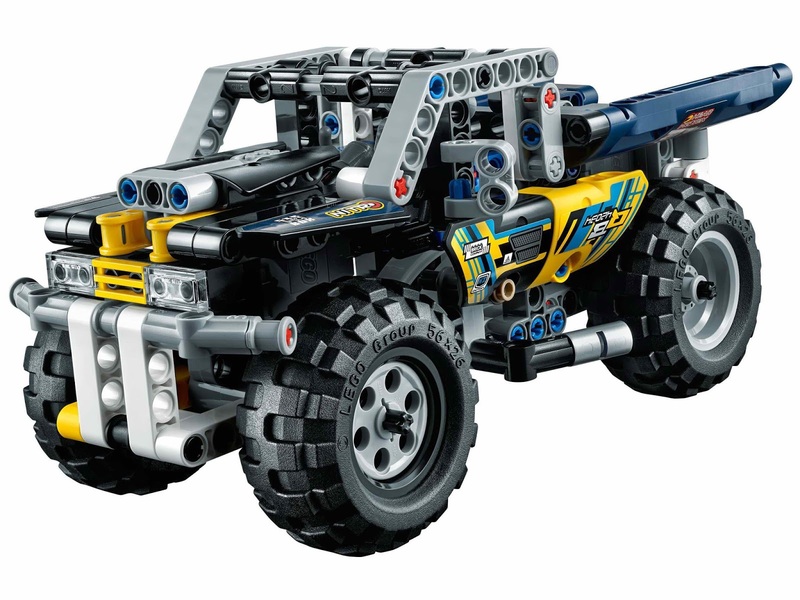 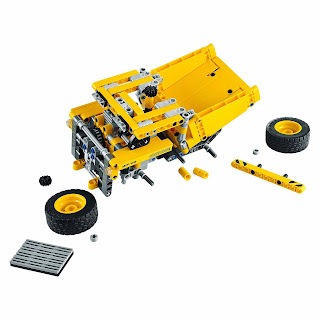 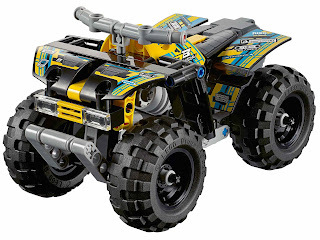 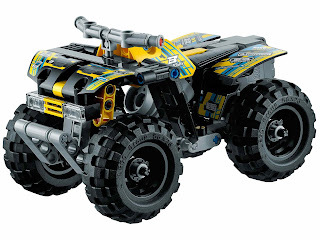 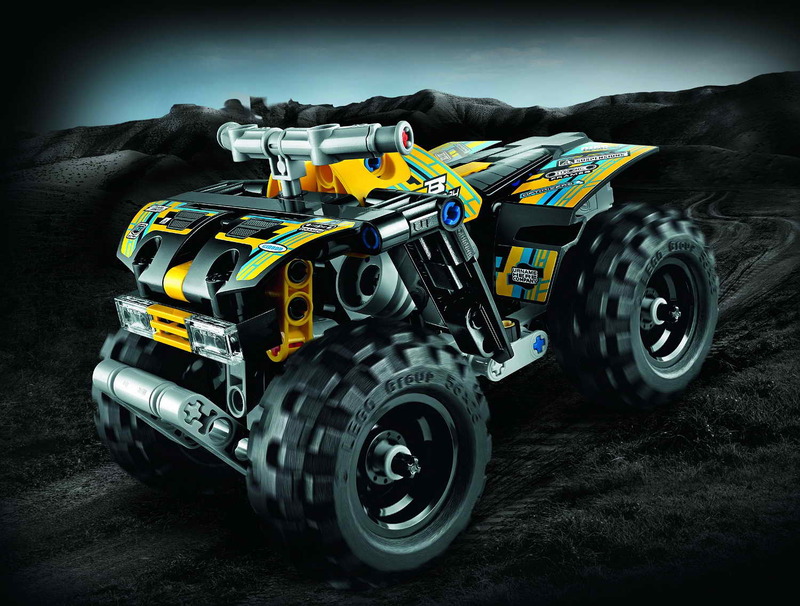 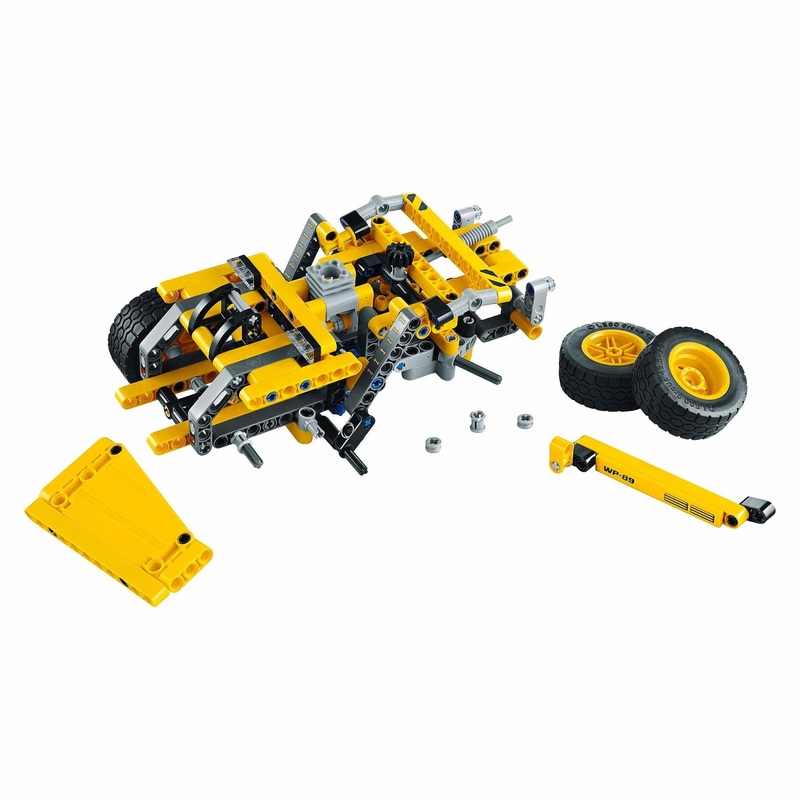 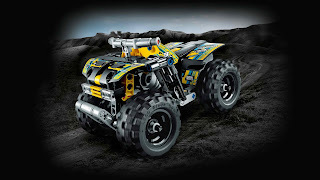 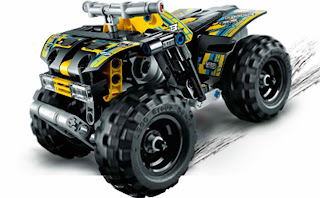 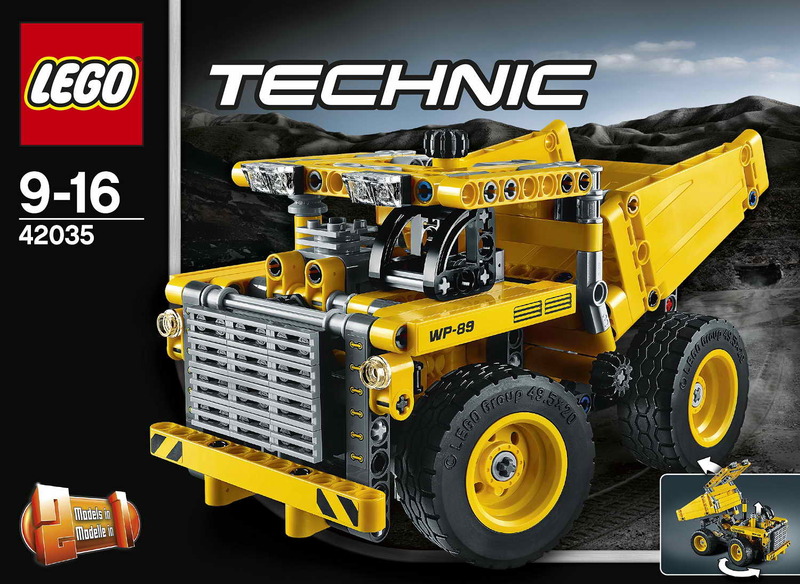 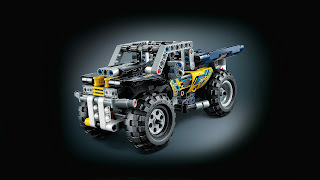 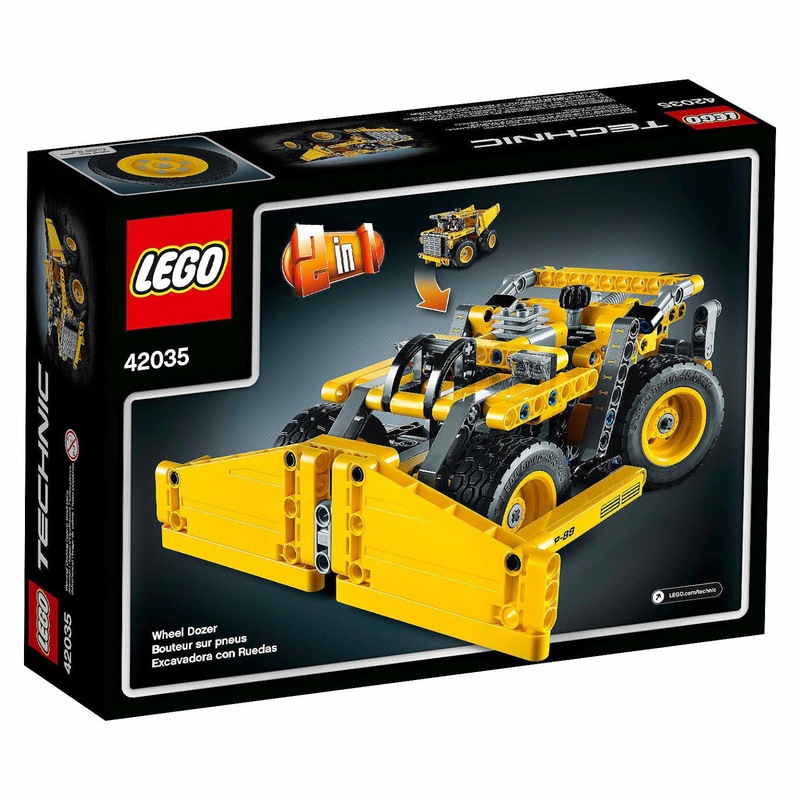 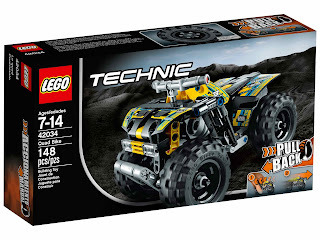 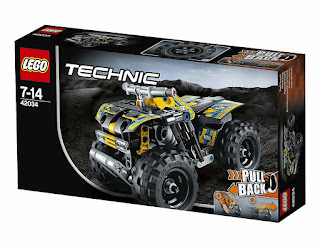 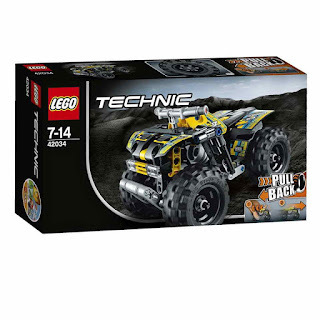 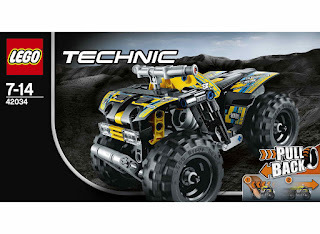 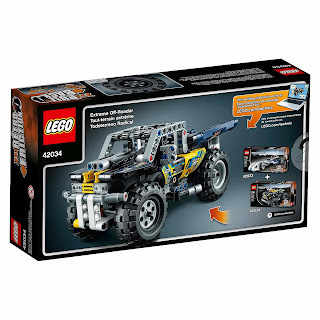 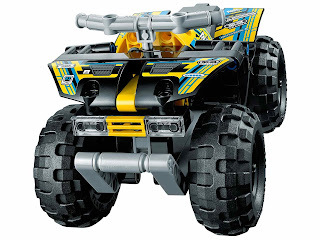 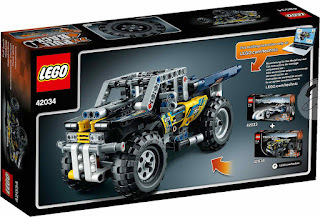 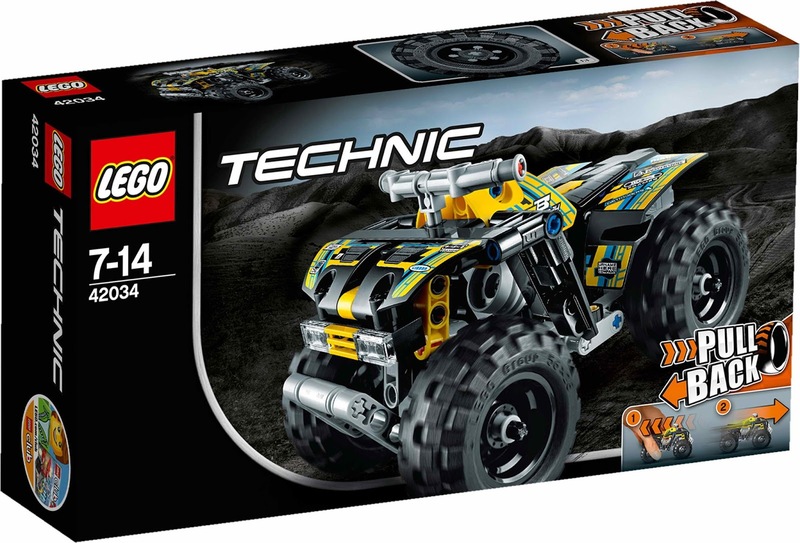 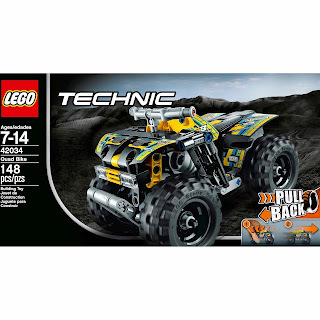 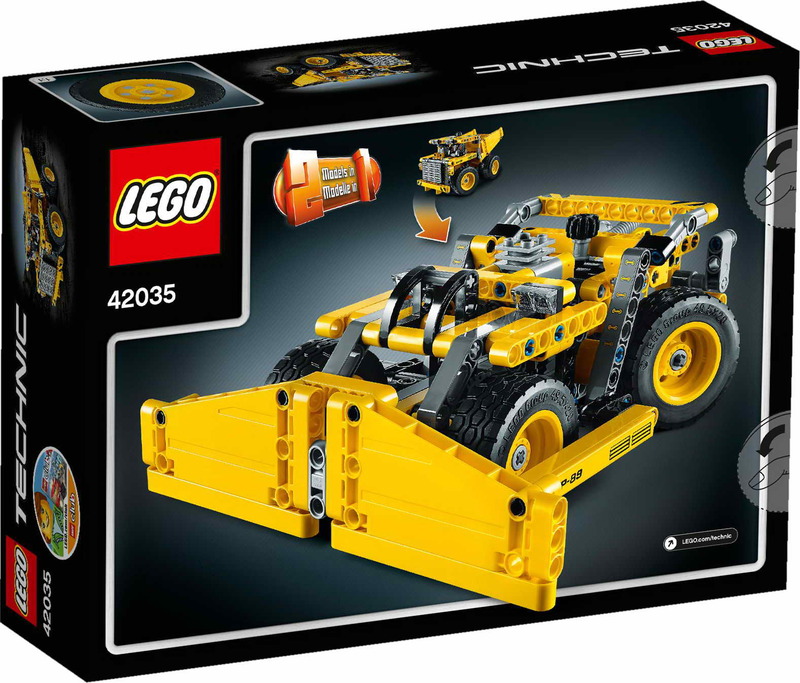 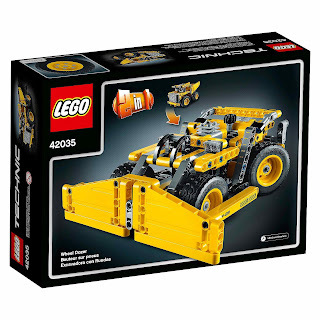 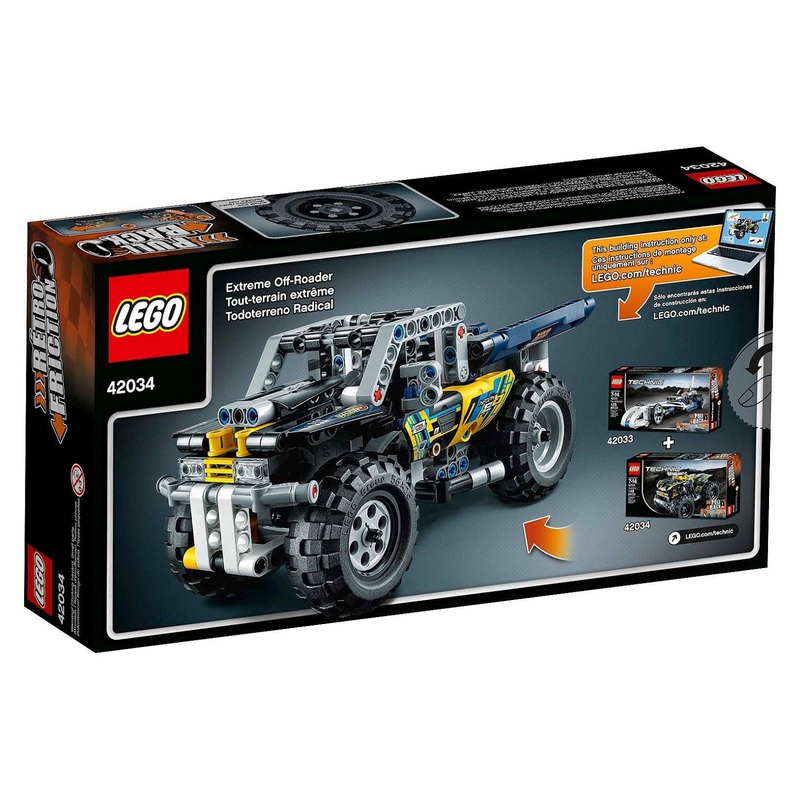 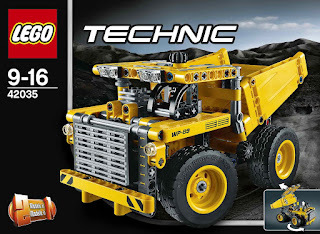 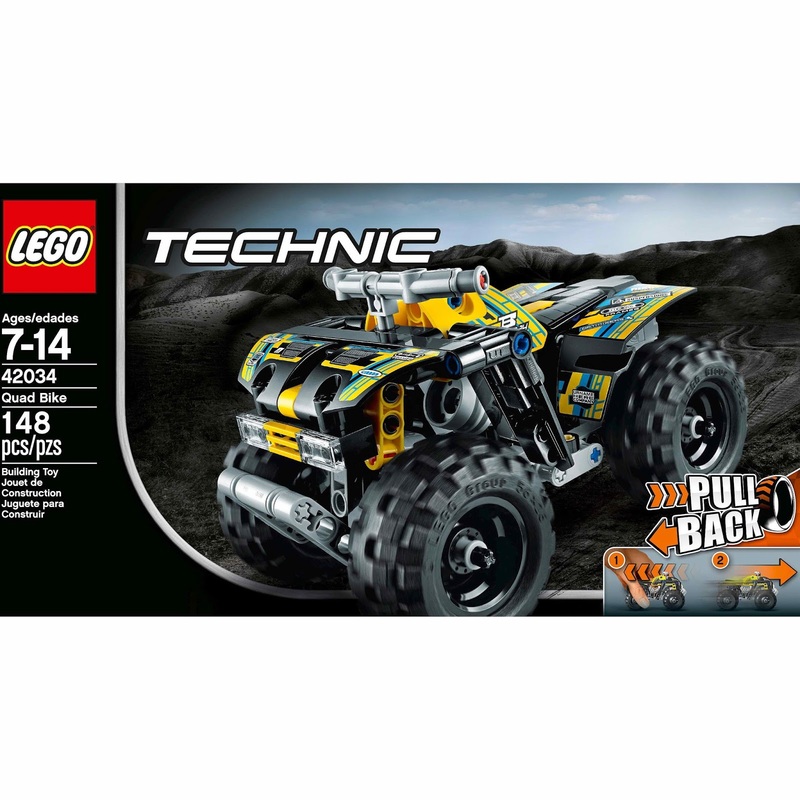 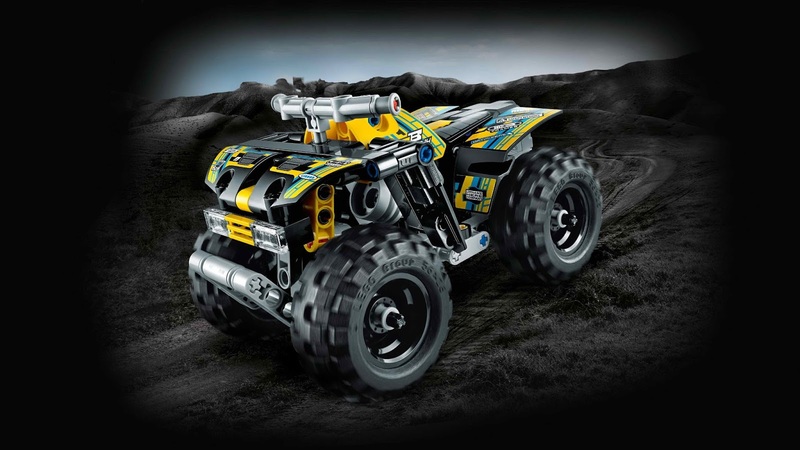 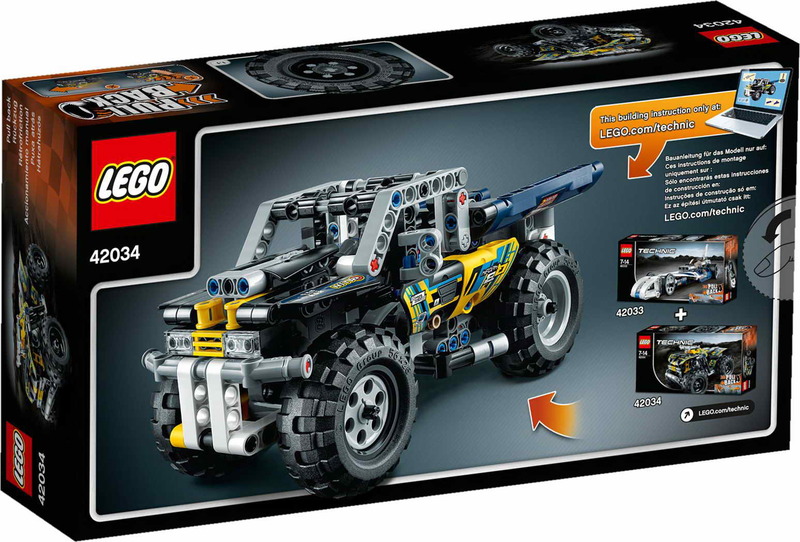 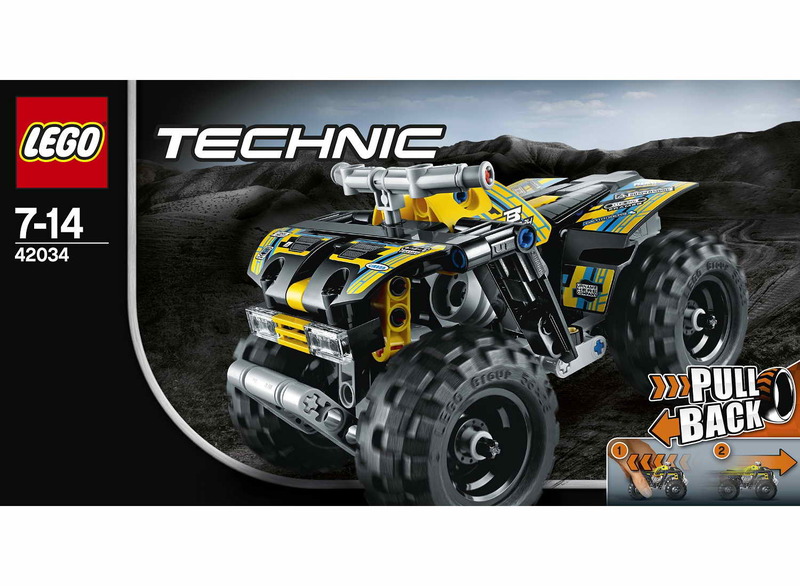 can be combined with 42033 record breaker to built into an extreme offroader. 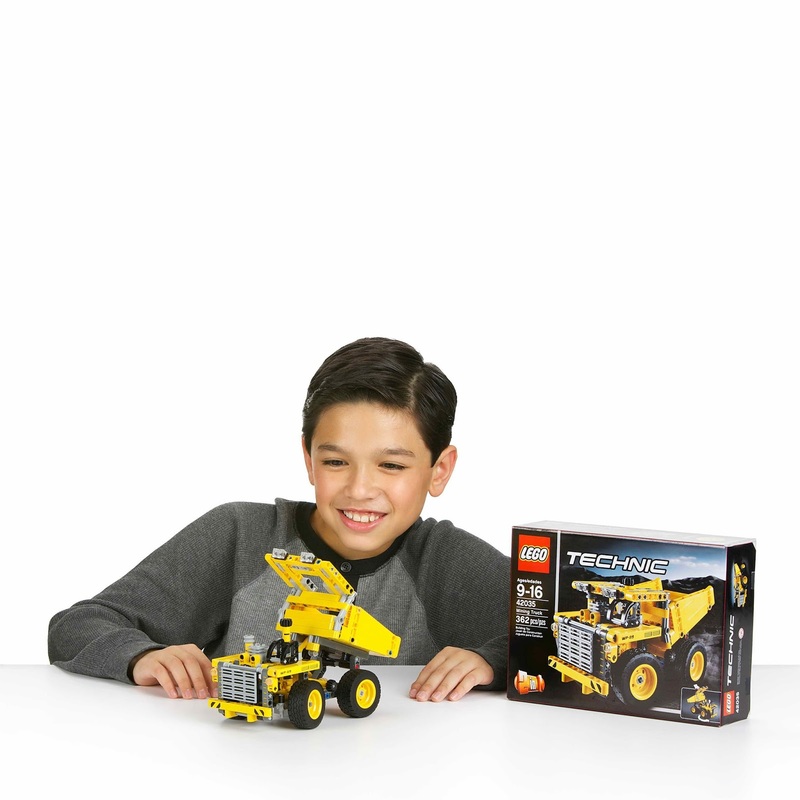 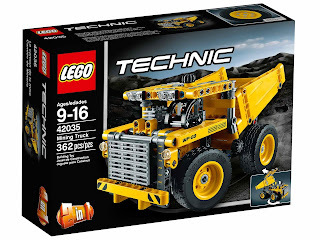 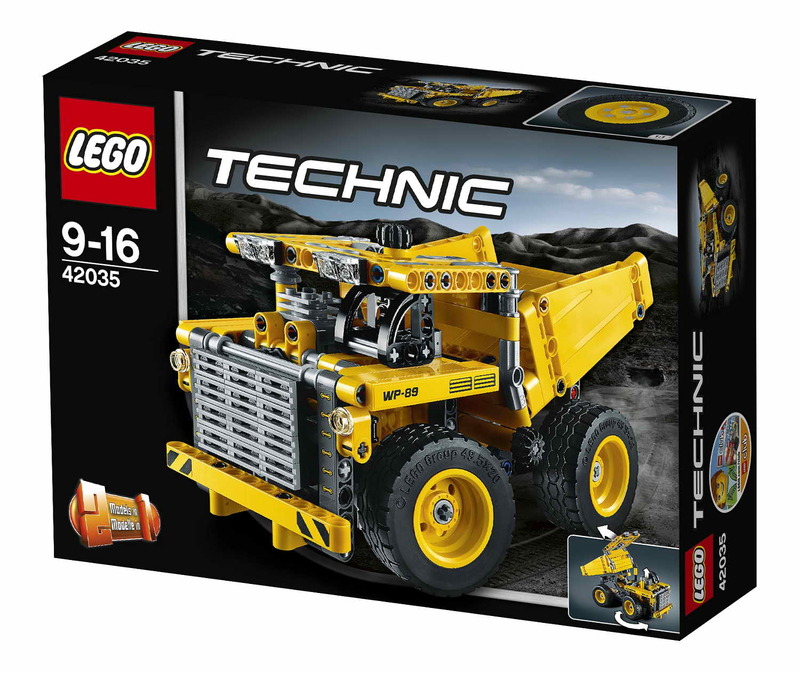 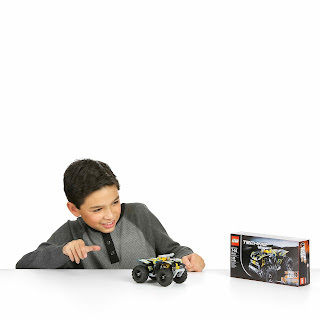 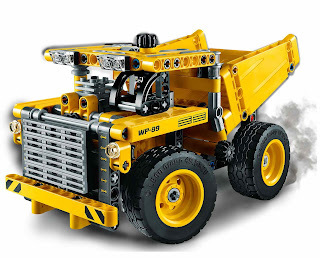 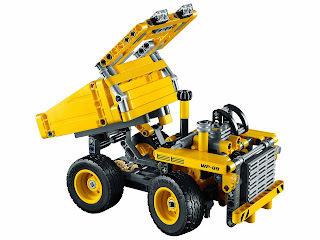 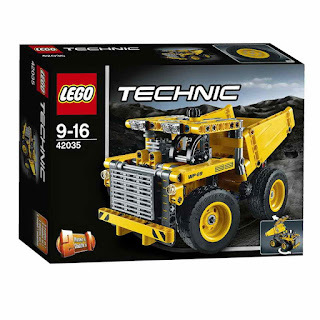 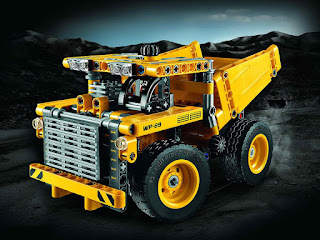 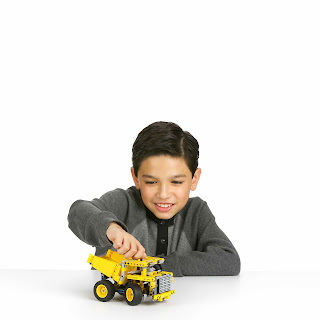 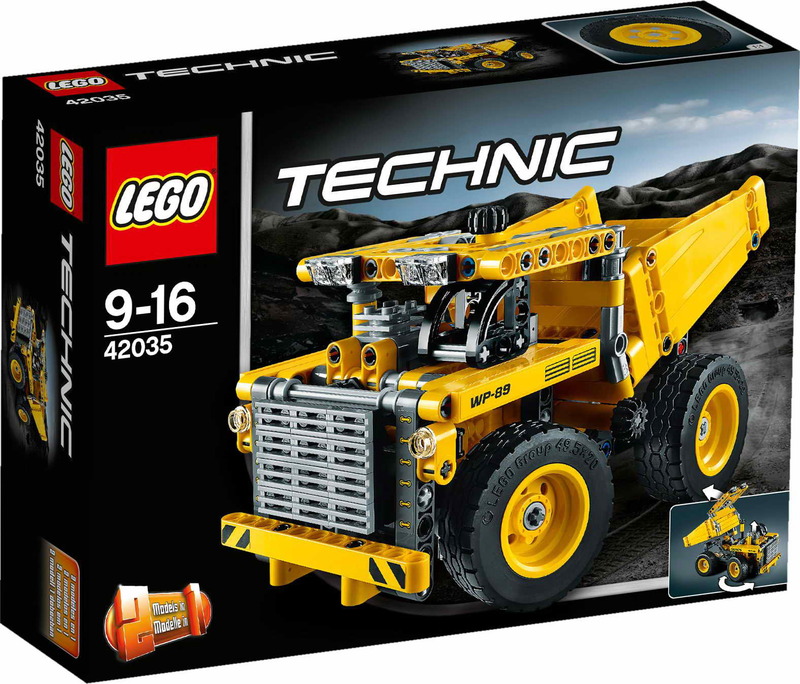 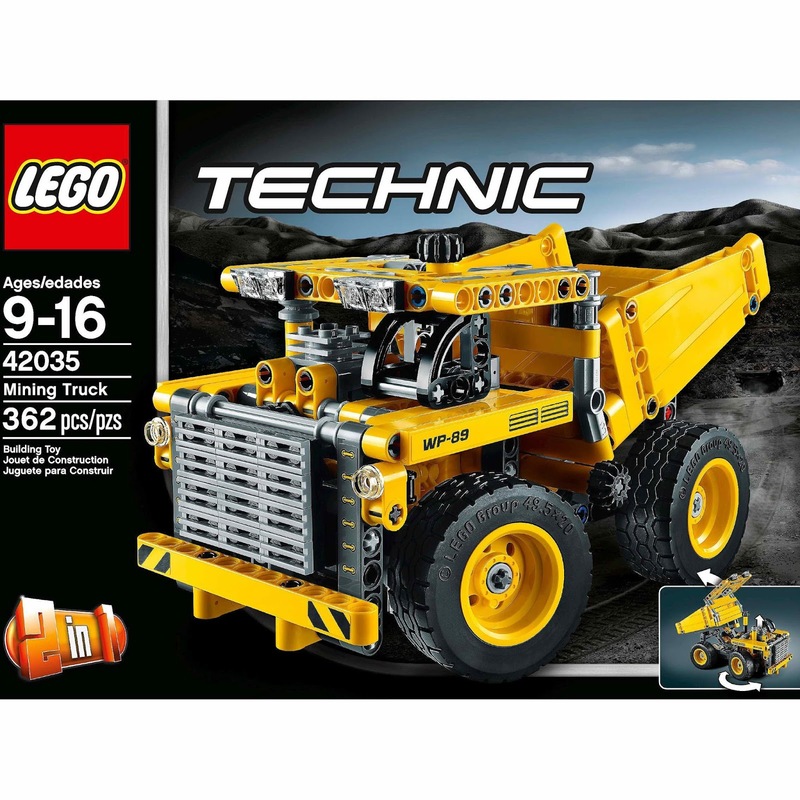 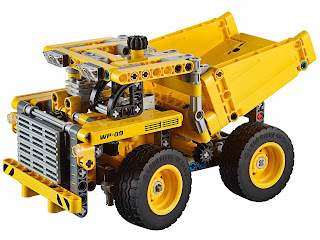 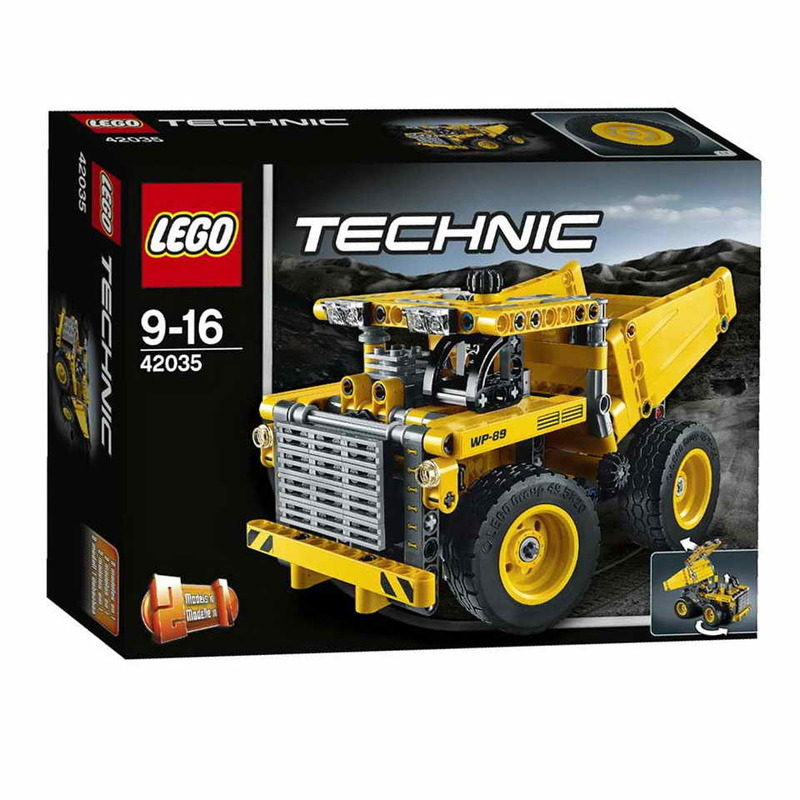 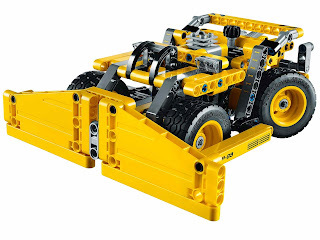 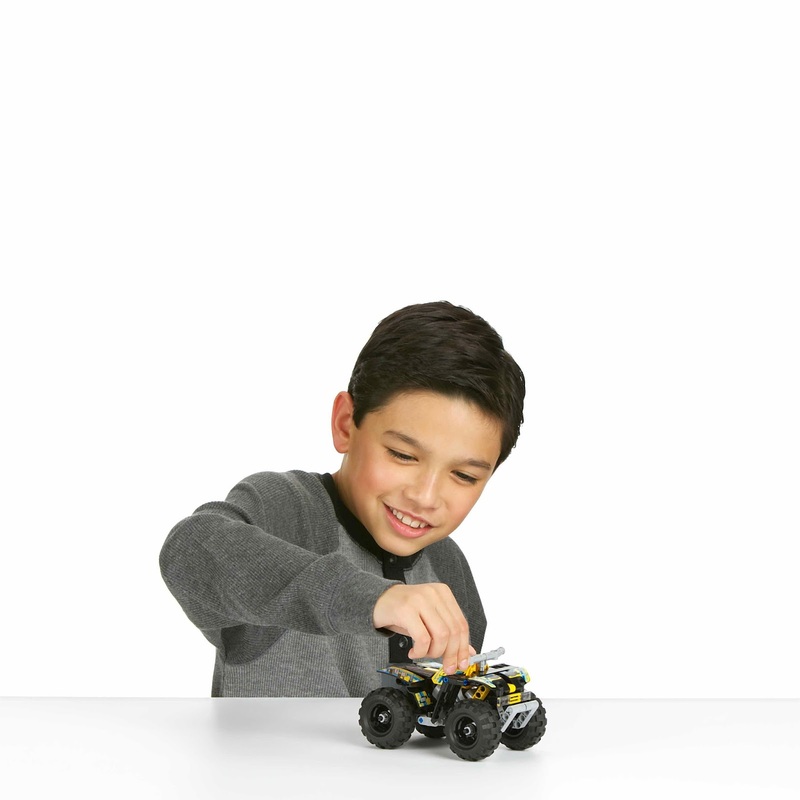 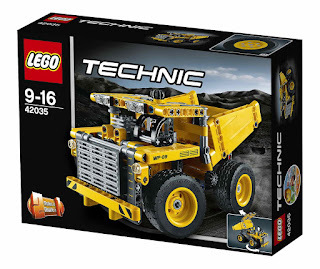 main model is a mining truck. the truck has big wheels, a detailed engine with movable piston and transmission belt, a heavy duty bumper and grill guard, a tipping cargo bed, a driver’s cab and a workable steering. 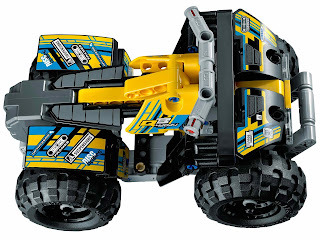 can be built into a wheel dozer.